Grip is crucial when working with oil and grease, which is why the Kutlass Nitrile Palm-Coated Cut-Resistant Gloves NX-500 use an extra grippy foam nitrile palm coating. A blend of cut-resistant yarns protects the hands, while the flexible and anatomic shape ensures comfort, dexterity and reduced hand fatigue during use. 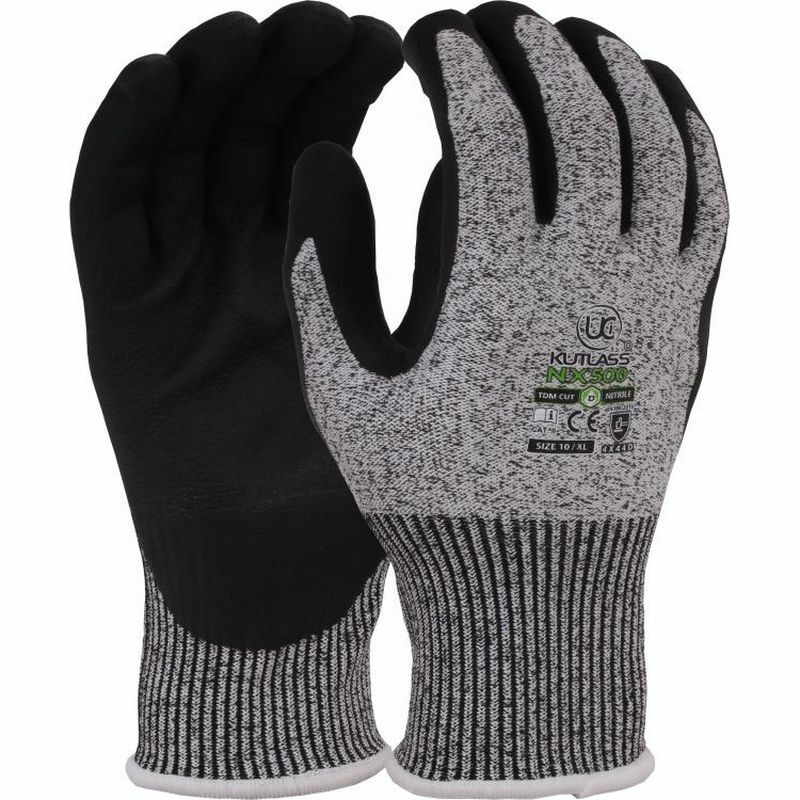 The Kutlass Nitrile Palm-Coated Gloves feature a nitrile palm coating to offer exceptional resistance to water and oil. 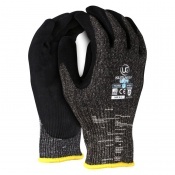 Combined with their blend of high cut-resistant fibres, these gloves are perfect for protection and grip in applications such as oil and gas, mechanics and construction. 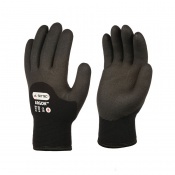 The Kutlass Gloves NX-500 are available in four sizes that should be suitable for most users. To find your perfect pair, please measure the circumference and length of your palm and match the results to the table below.